WILDWATCHER: A great day up the Mountain for Mountain Hares & a bit of unexpected news! 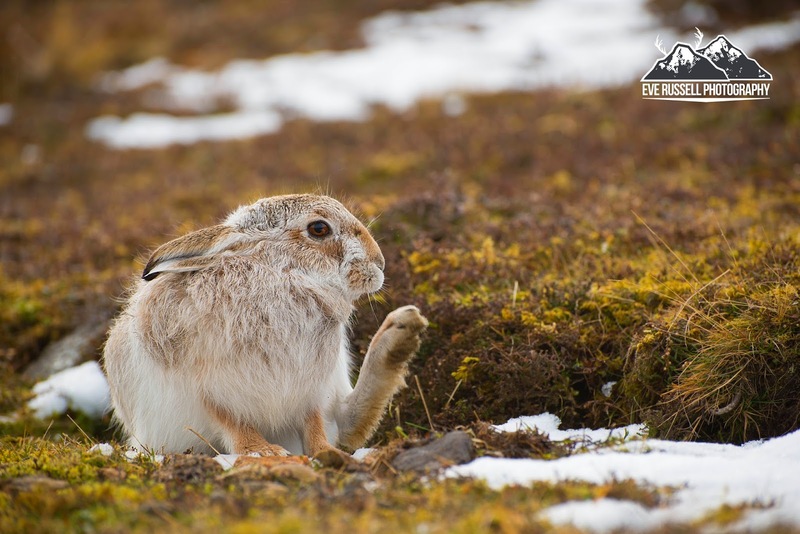 A great day up the Mountain for Mountain Hares & a bit of unexpected news! With the weather not looking too bad I decided to head up the mountain looking for Mountain Hares. I was hoping for a bit of snow to be there and luckily enough there was snow! It didn't take me too long to spot a few hares about, some were moving away and luckily enough the guy below was quite comfy with my presence and posed rather nicely for about an hour. The sun kept popping in and out with a slight bit of snow falling that added a nice bit of atmosphere to the image below. 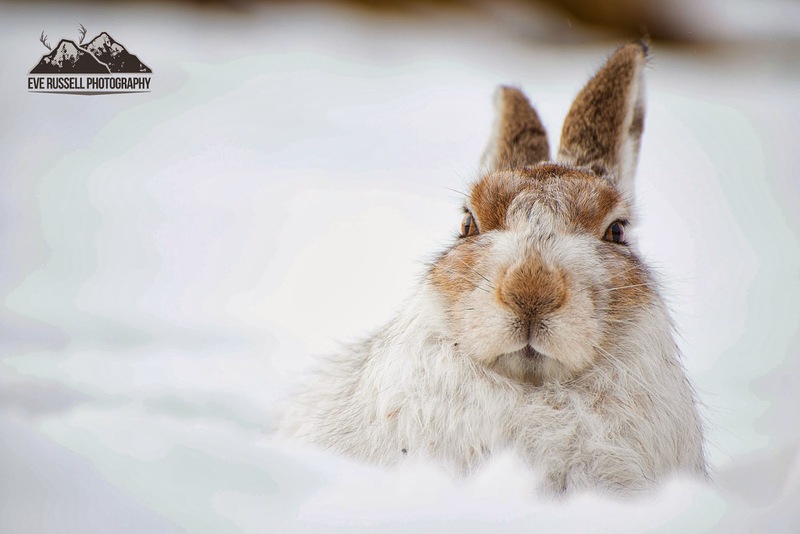 There's something about the Mountain Hare and it's amazing how they survive such different weather conditions and also how they change in colour to camouflage well in the different seasons. I'll be back photographing these guys in a few weeks and it will be interesting to see any changes in them and there environment. 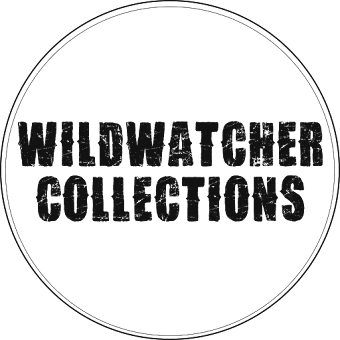 PS: Had some rather unexpected news on Friday from Outdoor Photography magazine and found out that I won there 'Winter Wildlife' photography competition. It certainly did put a smile on my face and was a nice start to the weekend! The image that won was the top image in this blog post, which was a favourite of mine from the day. Camera and equipment used on the day: Nikon D800, taken with a 70-300mm zoom lens and a bean bag used. Congratulations Eve! It is certainly a wonderful picture! I keep imagining the hare's thinking 'Are you lookin' at me?' Nice of him to pose for so long for you! Hi Eve, it is so lucky to speak to you. 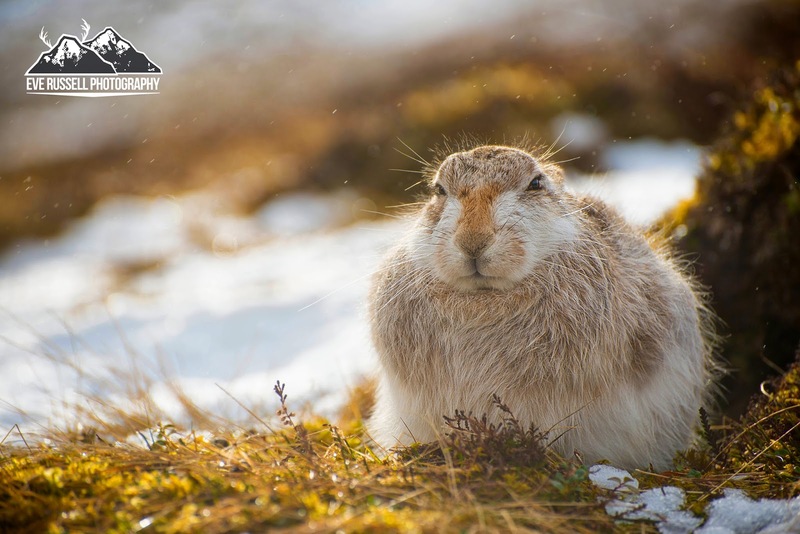 The mountain rabbit looks really beautiful, superb photos. 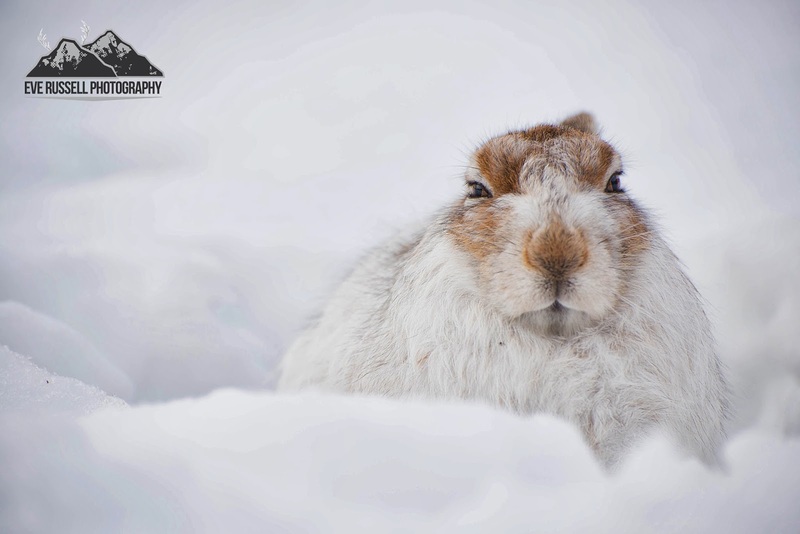 So nice to see the funny head of this rabbit just above the snow. Wonderful! !